Big Sister Katie and Little Sister Ici first met when Ici was just 7 years old. Since then, Katie has watched Ici grow up…and walk across the stage to receive her college diploma. Now, 16 years after they first became Big Sister and Little Sister, Ici and Katie consider one another family. Stick with it. There may be times where you question if you have the time, right kind of support to offer each other, but I promise you, you do. Ici has become a part of our family! 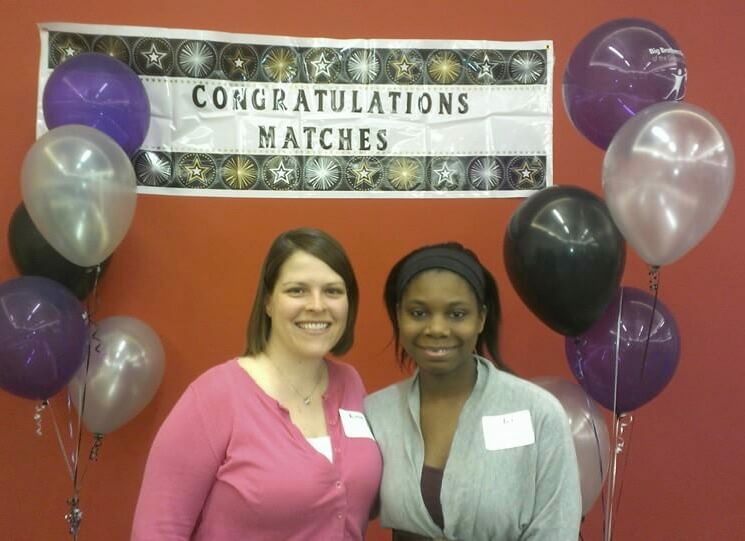 BBBS: How long have you been Matched? Katie: We were matched when Ici was 7 years old, so about 16 years ago! BBBS: Tell us about one of your favorite memories together. Katie: Only 1?! There’s too many to count (DQ Headquaters event, surprise 16th birthday party, helping move in/out of college dorms, college graduation!) I know we both really enjoyed walking in the parade at the State Fair years ago, representing BBBS. It was neat seeing all of the people cheering for such a great organization and being able to show that Matches do last! Ici: I enjoyed the time we walked in the State Fair with the other Matches. I also enjoyed the event when we had the chance to meet other Littles and Bigs. Any event when we get to interact with other Matches was great. I also loved Halloween when I was younger. We would celebrate with diner made by ‘Wanda the Witch’ and then go trick or treating. BBBS: Tell us about a challenge you’ve encountered. How did you work through it? Katie: Ici moved a lot over the years. Communication would be difficult at times, but her mom was always good with getting back in touch with me when she was able, and we both knew we were committed to our Match so we were always able to pick up where we left off! Ici: Challenges that we encountered was that my family and I moved around a lot. There was time when contact was scarce, but the times that we would see each other it was like we never missed a beat. And once housing was stable it was better. Staying in contact was the most important. Calling to check-in when possible. BBBS: What’s your favorite activity to do together? Katie: It’s too hard to pick a favorite activity. We’ve been known to see a lot of movies and make several trips to Taco Bell over the years. No matter what we’re doing, it’s always been a good time! Ici: There are so many to choose from. I would have to say that an unofficial tradition we had was to go to the movies and all the trips to Taco Bell. BBBS: Katie, why did you want to become a Big? Katie: I first joined BBBS when I was in college and felt bad when the relationship had to end when I moved back home. 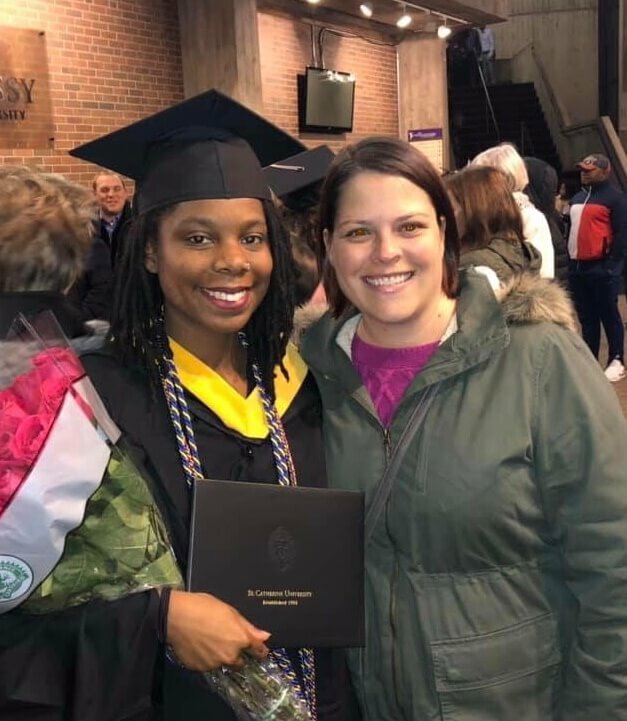 I knew I wanted to have another chance to hopefully watch my Little “grow up”, which I truly can say happened when Ici walked across the stage to get her college diploma. BBBS: Ici, what was it like growing up having a Big? Would you recommend BBBS to other potential Littles? Ici: I was great having a Big, Katie is an amazing person and one of the strongest women I have ever met. 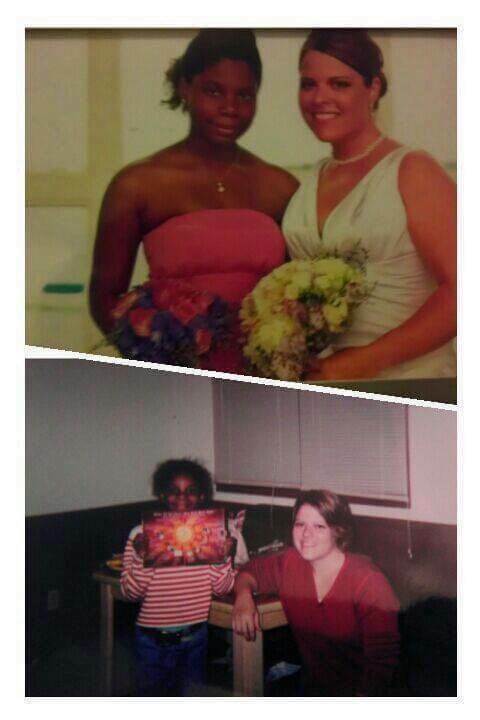 She has always been there for me as well as my family. I would recommend BBBS to other potential Littles without a doubt. I am hoping to one day become a Big!! BBBS: What advice would you give to future Matches? Katie: Stick with it. There may be times where you question if you have the time, right kind of support to offer each other, but I promise you, you do. Ici has become a part of our family! Ici: I would say that communication is key, whether it is in-person or over the phone/text. I would also say that to enjoy the experience and memories you will create together. Want to become a Big too? Sign up for an info session here.